Think humans are the only species that use medicine? Think again! A wide variety of other animals self-medicate, with non-human primates standing out as true self-medication champions. Primates use local plants and other items in their environments both topically and internally to treat a wide variety of ailments. Think that’s weird? 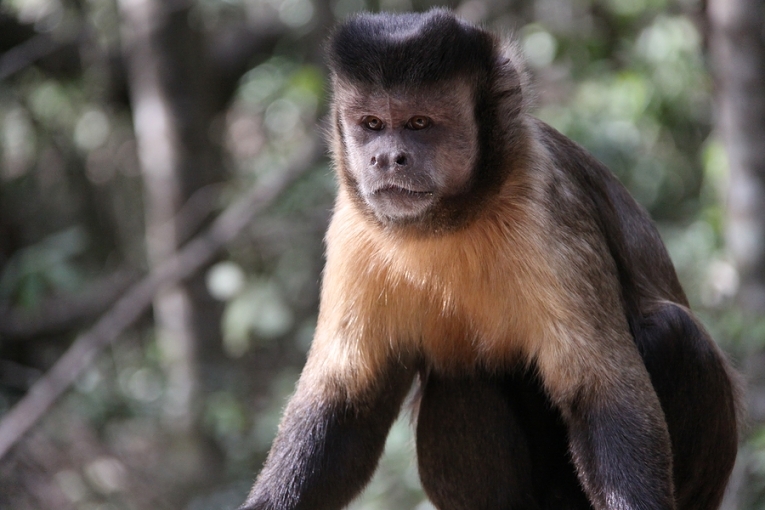 Tufted capuchins in Brazil take baths in carpenter ants. They lay on ant nests, allowing carpenter ants to crawl over their entire bodies, biting them repeatedly. Seems pretty strange until you consider the fact that these ant bites release formic acid onto the skin, which repellants tick nymphs (like Frontline for monkeys). These monkeys would rather be covered in ants than get caught with a coat full of ticks. Orangutans are another species that topically self-medicate. They do this by applying a mixture of saliva and the Commelina plant leaves to their coats. This plant seems to have a sort of local anti-inflammatory property, like nature’s own Icy Hot. The local people use a similar trick. They take these same leaves, roast them in banana leaves to release their chemical compounds, and rub them on their bodies to treat skeletomuscular pains. Primates also use meds to oust parasites inside their bodies. Ethiopian anubis and hamadryas baboons consume soapberry bush fruit to control parasites carried by a certain species of snail. These parasites lead to the disease schistosomiasis, a nasty condition that causes serious urinary and intestinal problems. With the help of soapberry bush fruits containing diogenin, a molecule that hinders the development of schistosomiasis, the baboons are able to thwart the impact of this potentially deadly disease. 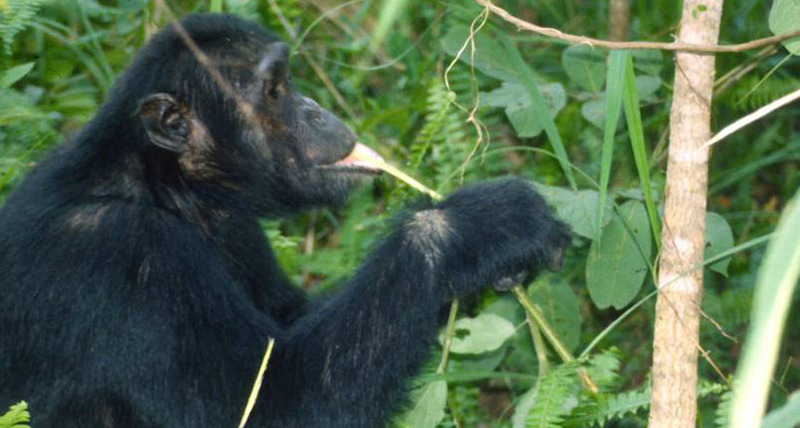 Chimps have their own remedy for an upset stomach. They chew the pith of the plant commonly known as bitter leaf. 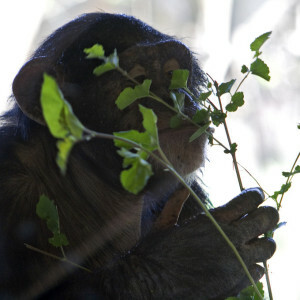 Only sick chimpanzee chew this plant’s pith, usually showing improvement after ingesting it. After scientists made these observations, it was discovered that African herbalists prescribe this plant to local people to treat malaria, schistosomiasis, dysentery, and other intestinal parasites, and that the pith of bitter leaf contains various parasite-fighting compounds. Clearly, non-human primates are impressive pharmacists. This not only demonstrates their complex cognitive abilities, but could also have applications for human heath. Because non-human primates are our closest relatives, we might want to borrow some drugs from their medicine cabinet. We can’t test all of the plants and insects in the world for medicinal benefits, but we can use non-human primates’ self-medication habits as a sort of natural screening process for potential medicines. Disclaimer: This article does not contain medical advice and should not be treated as such. We do not suggest that anyone apply or ingest any of the substances mentioned. This article is for educational purposes only. Birkinshaw CR. (1999). Use of millipedes by black lemurs to anoint their bodies. Folia Primatologica 70: 170-171. Huffman MA, Koshimizu K, and Ohigashi H. (1996). Ethnobotany and zoopharmacognosy of Vernonia amygdalina, a medicinal plant used by humans and chimpanzees. In PDS Caligari and DJN Hind (eds. ): Compositae: Biology and Utilization. Vol 2. Kew: The Royal Botanical Gardens, pp. 351–360. Murrogh-Bernard HC. (2008). Fur-rubbing as a form of self-medication in Pongo pygmaeus. International Journal of Primatology 29: 1059-1064. Philips-Conroy JE. (1986). Baboons, diet, and disease: Food plant selection and schistosomiasis. In D Taub and F King (eds. ): Current Perspectives in Primate Social Dynamics. New York: Van Nostrand/Reinhold, pp. 287-304. Verderane MP, Falotico T, Resende BD, Labruna MB, Izar P, and Ottoni EB. (2007). Anting in a semi-free ranging group of Cebus apella. International Journal of Primatology 28(1): 47-53. Weldon PJ, Aldrich JR, Klun JA, Oliver JE, and Debboun M. (2003). Benzoquinones from millipedes deter mosquitos and elicit self-anointing in capuchin monkeys (Cebus spp.). Naturwissenschaften 90(7): 301-304.